 Mouse anti Chicken MHC Class II (monomorphic) antibody, clone 21-1A6, recognizes a monomorphic determinant on the chicken B-L molecule, the chicken class II major histocompatability complex (MHC). The level of B-L expression is reported to increase during the bursal phase of B cell differentiation (Veromaa, T. et al. 1988). Veromaa, T. et al. (1988) Expression of B-L and Bu-1 antigens in chickens bursectomized at 60 h of incubation. Eur J Immunol. 18 (2): 225-30. Vainio, O. et al. (1988) Antigen-presenting cell-T cell interaction in the chicken is MHC class II antigen restricted. J Immunol. 140 (9): 2864-8. Petkov, D.I. et al. (2009) Identification and characterization of two distinct bursal B-cell subpopulations following infectious bursal disease virus infection of White Leghorn chickens. Avian Dis. 53 (3): 347-55. Silva, A.B. et al. (2008) Functional analysis of neuropeptides in avian thymocyte development. Dev Comp Immunol. 32 (4): 410-20. Pavlova, S.P. et al. (2010) In vitro and in vivo characterization of glycoprotein C-deleted infectious laryngotracheitis virus. J Gen Virol. 91 (Pt 4): 847-57. Wattrang, E. (2009) Phosphorothioate oligodeoxyribonucleotides induce in vitro proliferation of chicken B-cells. Vet Immunol Immunopathol. 131 (3-4): 218-28. Jarosz, Ł. et al. (2016) Effects of feed supplementation with glycine chelate and iron sulfate on selected parameters of cell-mediated immune response in broiler chickens. Kamble, N.M. et al. (2016) Activation of chicken bone marrow-derived dendritic cells induced by a Salmonella enteritidis ghost vaccine candidate. Res Vet Sci. 107: 68-74. Research in Veterinary Science. Oct 31 [Epub ahead of print].